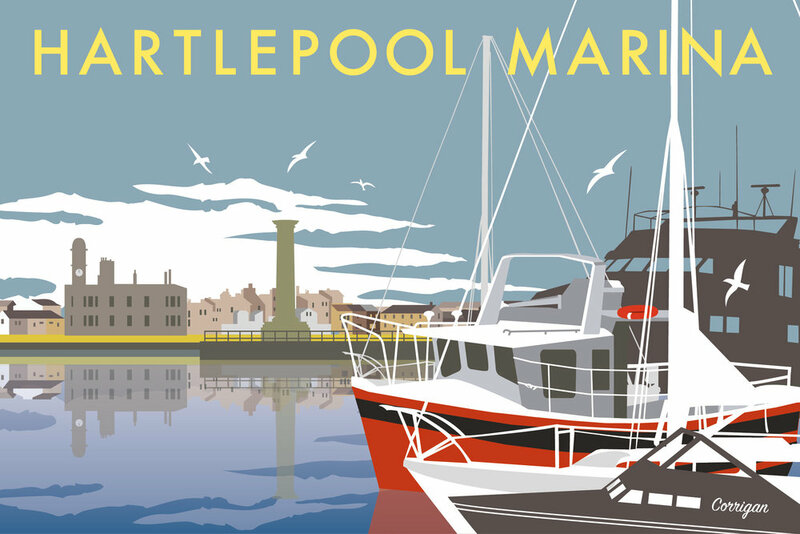 ”Twelve bold new pieces of artwork have gone on display at Hartlepool railway station. 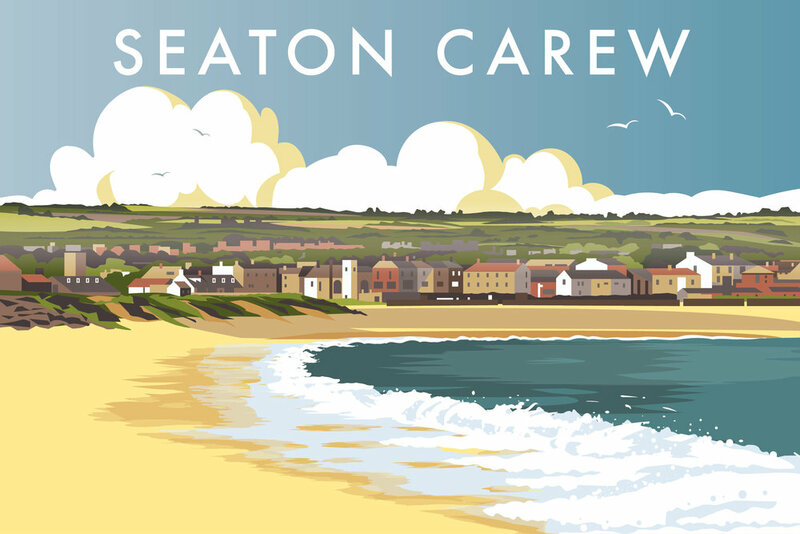 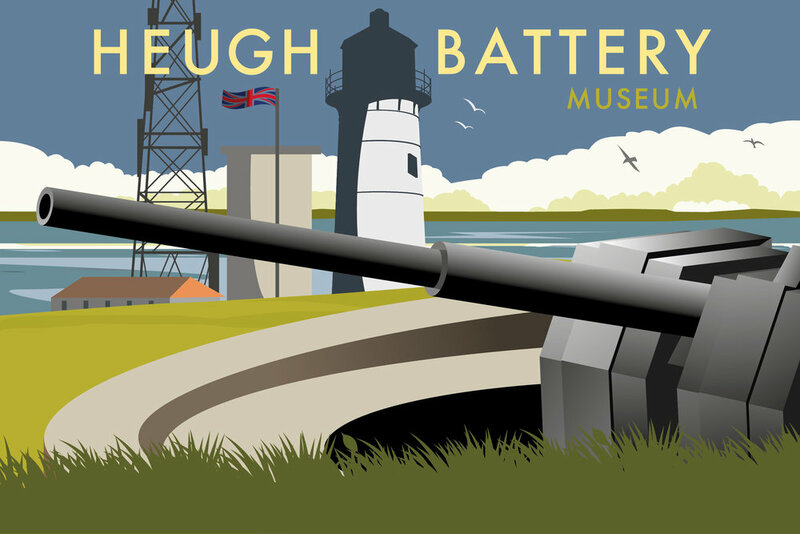 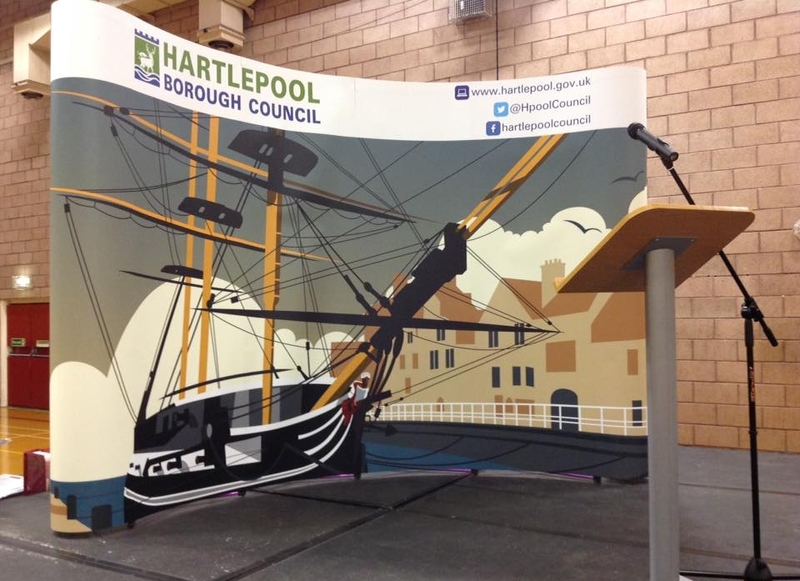 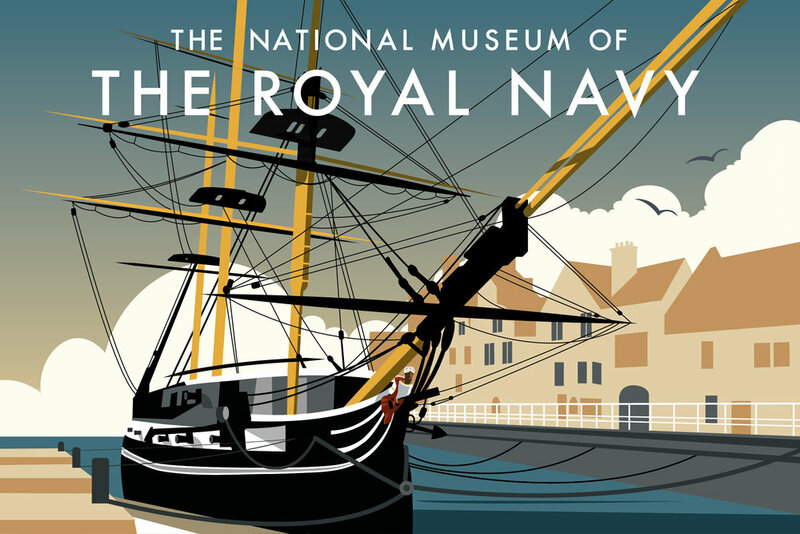 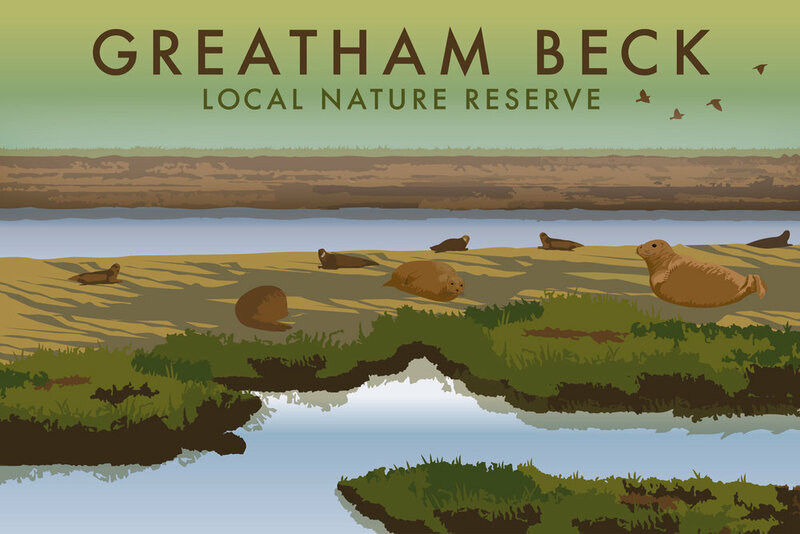 The designs – by Cleveland College of Art and Design graduates Abigail Taylor and Owen Smith – show popular Hartlepool landmarks, including the National Museum of the Royal Navy, Greatham Beck, the Heugh Battery Museum and Hartlepool Marina. 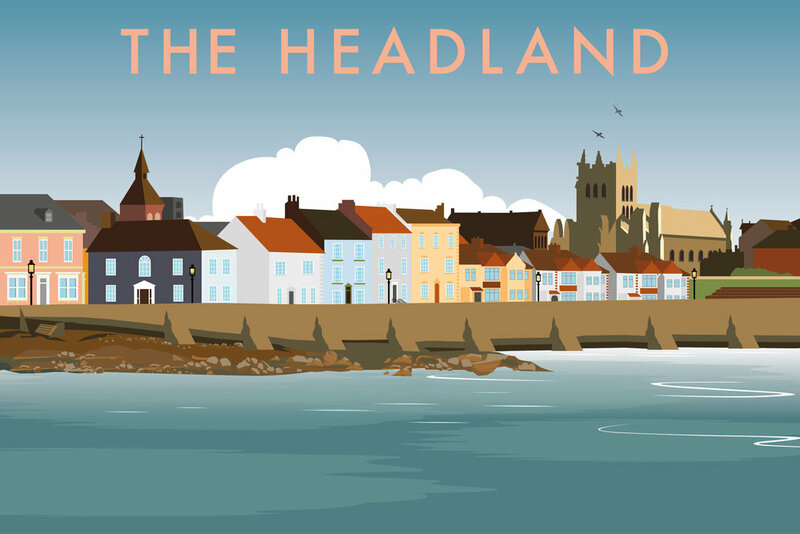 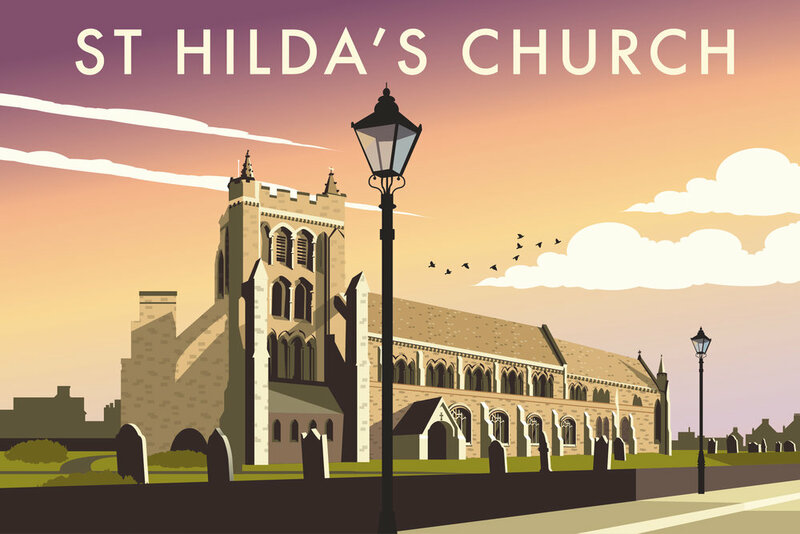 Abigail and Owen won the competition run by Hartlepool Council to create six pieces themed on key locations in Hartlepool-based on the hey-day of railway posters of the 1920s-1950s. 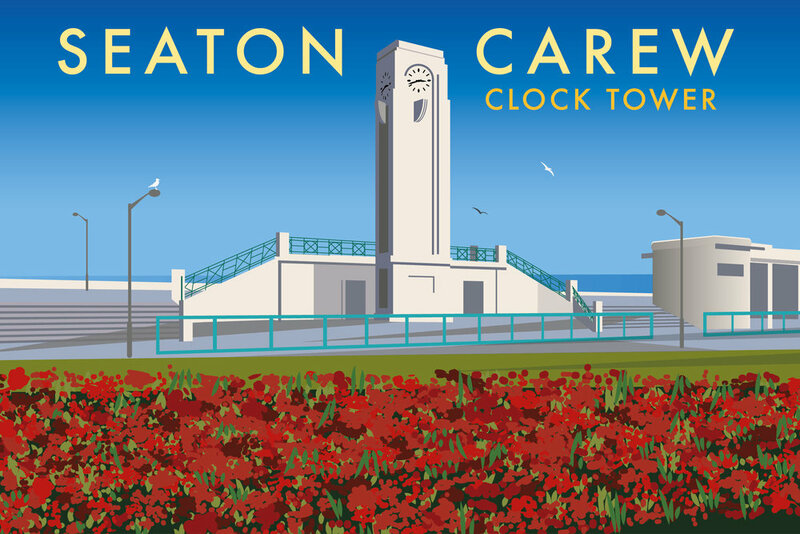 Once they had won the competition the council commissioned them for a further six pieces.